Notes: September 1997 Tim Hills: A large clean bole, with fluting and buttressing. Many large branches from 8'. Girth of 18' 9'' at 1' in 2000. 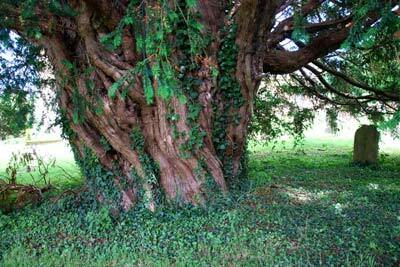 Latest information: June 30th 2014 Peter Norton: Girth of this large male yew was 19' 3'' close to the ground.